The Star Fox team triumphantly returns to one of its greatest missions with the remake of Star Fox 64 in full 3D. A complete graphical update brings a Nintendo classic into the glasses-free 3D age. A new multiplayer option lets up to four players engage in fierce dogfighting action via a local wireless connection on their Nintendo 3DS systems. Multiplayer mode features new power-ups and weapons. 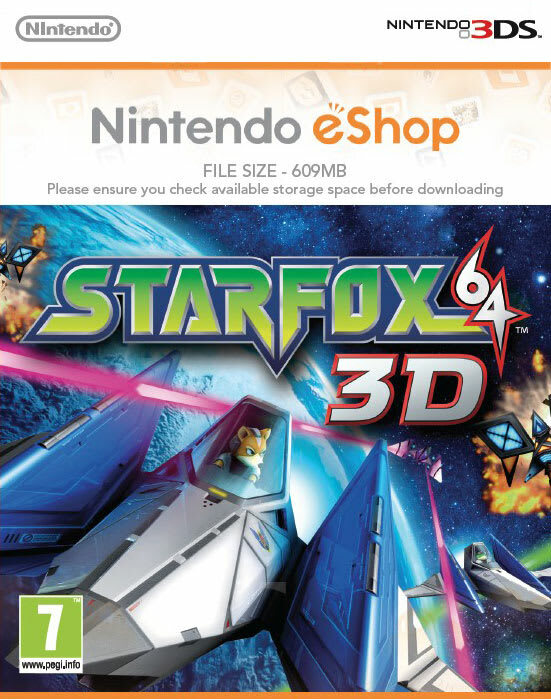 Please Note: StarFox 64 3D for Nintendo 3DS is 4883 Blocks (609 MB). Check that you have enough space on your SD Card to download and install this title, if you need more storage space click here for our range of fully compatible SD Cards.